A classic in the horror genre, and written over thirty years ago, this book is still very enjoyable. I read it to get in the appropriate Halloween spirit in October, and I must say, Carrie certainly fit the bill! On a traumatic afternoon in the group showers after PE Carrie gets her first period. After being picked on by her classmates for years, this only makes it worse. Her extremely religious mother has never told her about periods. Then unexplainable things start to happen around Carrie.. Resulting in a horrible night the world won’t forget soon. Having read a few books of Mr King (including It and Insomnia) I have seen quite a bit of his writing style. This was one of the first of his shorter books I have read. Even though I enjoy his longer work, it was nice to see him focus on one storyline for a change, with just a small cast of characters. One of the things I always enjoy in his books is how he portrays the character’s thoughts. He understands that thoughts are rarely full formed sentences, but more like snippets of memories and impressions. Mr King’s other big strength lies in describing dysfunctional relationships. The relationship between Carrie and her extremist mother was wonderfully crafted. Instead of making her mother a monster, he adds a touch of humanity that makes her into a three-dimensional character. The same thing with Carrie herself; you know from very early on in the story that she will probably kill some people. You don’t know how, but you get the feeling she will. Yet still, the only thing I wanted to do was to hug her and tell her everything would be al right. She’s just a sweet girl, pushed too far. Carrie is a collection of newspaper scraps, reports, scientific books, a memoir, and the “real” storyline. I quite liked the idea; but towards the ending I wished that there was more “real” and less other stuff. At times it took a bit of speed out of the story. 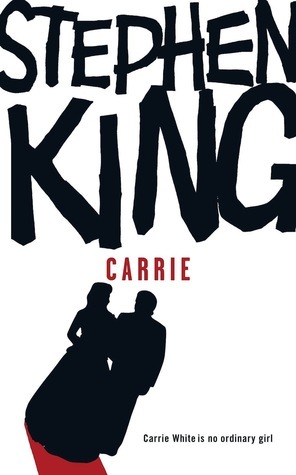 For people that want to read some Stephen King, but don’t know where to start, I would certainly recommend Carrie. It’s a great story, and I will probably read it again sometime!